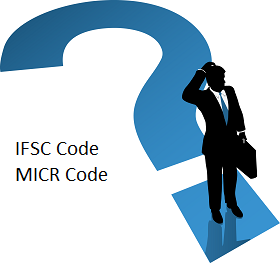 Do you know difference between MICR and IFSC code? MICR and IFSC code are used for financial transaction in order to transfer money using NEFT and RTGS. Although this term sounds similar, it is not the same. There are many people who get confused about concept and importance of this terms. Let’s try to understand basic difference between MICR and IFSC Code. What is difference between MICR and IFSC Code? MICR is an acronym of Magnetic Ink character Recognition. This code can be found in all cheques. You can locate this code at the bottom of check on MICR Band. This code is introduced to enhance security in transactions. MICR code can be used for International Transaction also. MICR system is very old system of identifying negotiable instruments. MICR code is 9 digit number. The first three digit number of MICR code represent the city, next three represent the bank and the last three digit indicates the branch. MICR code was introduced by RBI to facilitate transaction of NEFT (National Electronic Fund Transfer). MICR Code is written with special magnetic ink, This MICR code can be scanned by magnetic scanner. Any tempering can be easily identified. Example of MICR Code is 700028015. You can visit RBI database of MICR code to find out detail about MICR code. IFSC is an acronym of Indian Finance System code. This code is use to identify all NEFT transaction participating banks. This code is used for fund transfer like RGTS, NEFT and CFMS. IFSC code is 11 character code. The first four alphabet character in this code represents bank name, and last six characters of this code represent the branch. The fifth character is 0 and reserved for future use. If fund transfer is taking place online using internet this unique code system is used. Even your refund of Income tax is remitted using IFSC Code. Example of IFSC Code is ICIC0000193. You can visit IFSC Database to find out detail about IFSC Code. Explanation of difference is clear. But what I don’t understand is why there are two different codes to identify a bank uniquely. As per explanation, MICR seems quite capable for this purpose.